E. Howard Clock Company | NAWCC 133 "Western Electrics"
Above is an E. Howard 80 beat master clock. The E. Howard clock company produced self winding clock systems for schools, factories and other facilities that required synchronized time systems. 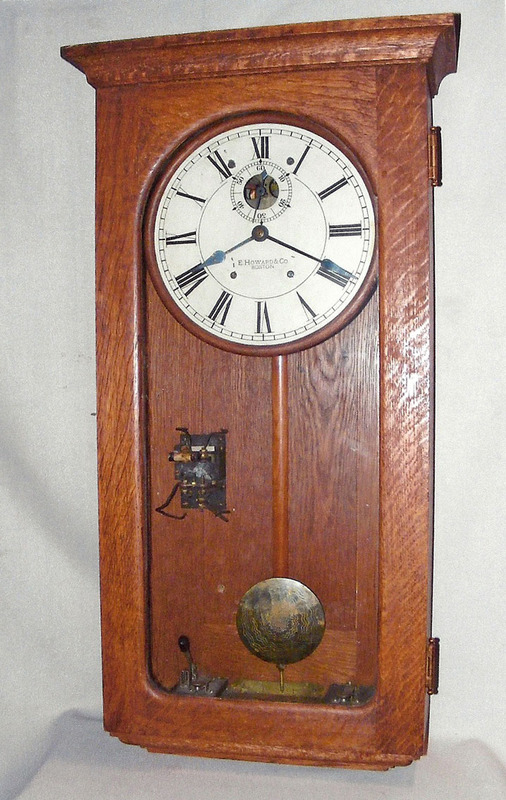 They introduced their system in the early 1900’s and the clocks were controlled by an E. Howard manufactured 60 beat self winding movement that was modified from their very reliable #89 movement. The master clock movements were all stamped with a serial number and something on the order of 1,000 were made. 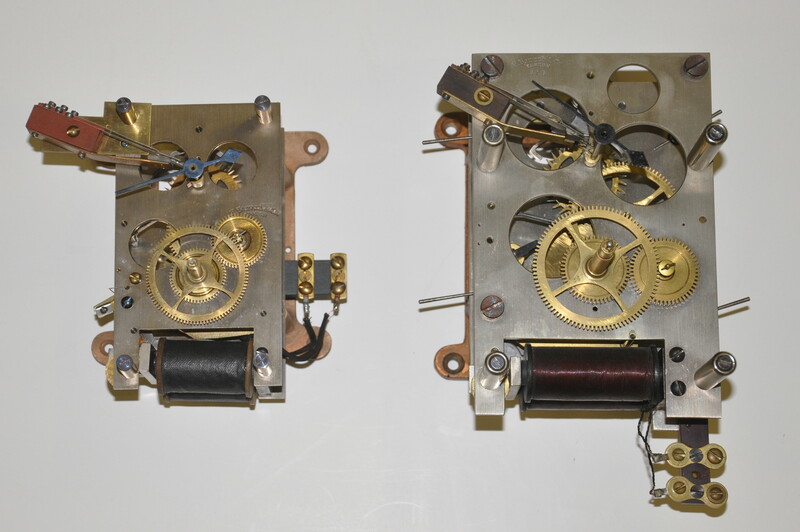 E. Howard also made a few 80 beat self winding clocks that were controlled with a scaled down version of the 60 beat movement. These 80 beat movements were also stamped with serial numbers. The 80 beat movement pictured is serial # 40 and the 60 beat movement is serial # 316. We should add some pictures of complete clocks from members’ collections. I believe Jim K. has several.